How exactly does this VIP Service work? We have all types of Nightlife Itinerary Packages for couples and groups of all sizes. When you contact us we can go over them with you and find the right one for you. 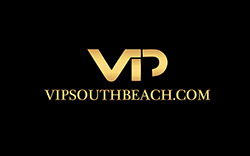 We will email your VIP South Beach Personalized Nightlife Itinerary to you before you arrive. We can then go over it with you and make sure the Itinerary is perfect for you answering any questions you may have and making any changes you would like. All Nightlife Itinerary’s are completely suited to your tastes for Your Ultimate South Beach experience! Do we have to book our hotel through you? No, it is not necessary to book your hotel through us.This is one of the services we offer. Many of our clients have already booked there hotel accommodations before they have found our services. We can let you know if you made a good choice we have been inside all South Beach hotels and will give you the insiders word on which hotel as the hippest scene, trendiest pool and the nicest rooms. Do you work with all the bars, lounges, nightclubs and restaurants in South Beach? Yes, we we work with the best South Beach Miami Nightclubs and specialize in knowing when and where the best insider nightclub parties are during the week. South Beaches best promoters are at certain nightclubs on different nights and we make sure you get into the right place on the right night. Why are all the South Beach bars, restaurants clubs and lounges not listed on your web site? We do not list all the South Beach venues on our web site because the South Beach scene is always changing. New clubs open and old ones close all the time, the hot promoters change to different clubs on different nights. We are always up to date and the only true insiders guide. Can we pick the clubs and restaurants we would like to go to? Yes, all our nightlife itineraries are totally suited to your tastes and we will set you up with any nightclub or restaurant you would like to go. Do we need a host from your company walk us into the club? Yes with our Nightclub Party Package our host will walk you right into the club with no waiting at all. The best South Beach clubs have super long lines and can be impossible to get into. We will assure you get right in with express club entry. Can we call you after office hours with questions? Yes, we give all of our clients our cell phone number to answer any questions you may have while you are here and also make sure everything goes smoothly for your stay. How long as VIP South Beach Inc. been around?